The Weed Science School is an intensive 2-1/2 day course focusing on the mode and mechanism of herbicide activity in plants and the fate of herbicides in the environment. This course provides a rare opportunity for professionals to efficiently update their understanding of weed science and the action of herbicides in the plant and the environment. Emphasis is on herbicides registered for use in California and important weeds within the state. Weed science professionals will appreciate the latest research provided by some of the most respected weed scientists in the world. The Weed Science School is designed for those involved in consulting, research, development, or sales of agricultural chemicals in either the private or public sector. Click HERE (03/18/2019)These topics are presented in lecture and demonstration formats. Each attendee will receive a comprehensive course notebook with lecture notes. 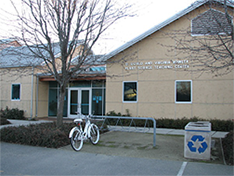 The course will take place at the Bowley Plant Science Teaching Center (1200 Extension Center Drive, Davis, CA; Pavilion District) on the UC Davis campus. The closest visitor parking lot to the Bowley Plant Science Teaching Center is VP LOT 30 on Extension Center Drive (Pavilion District). A daily visitor-parking permit can be purchased (using a VISA or MC) from the YELLOW permit dispensing machine located neart the parking lot entrance. Acceptable methods of payment: check, credit card or UC account number. No purchase orders accepted and no invoices will be issued by our office. Payment must accompany the registration form—no exceptions. Registrants will receive a confirmation via e-mail once your registration and payment are received and processed. Please allow 7 calendar days from the time your registration is submitted until you receive a confirmation. The confirmation also serves as a receipt of payment. Refunds will be granted (less a $75 processing fee) if a written request is received 8/5/2019. No refunds will be granted after 8/5/2019. Refunds or credit are not given for no-shows. We do not offer credit for future events. If you are unable to attend, you may send a substitute in your place at no additional charge. If you require special needs (e.g. vegetarian meal), please contact our office. With advance notice, we will try to accommodate your needs. Occasionally we use photographs of conference participants in our promotional materials. By virtue of your attendance, you agree to the use of your likeness in such material. In the unlikely event that this course is canceled or postponed due to insufficient enrollments or unforeseen circumstances, the UC Weed Research & Information Center will fully refund course fees but cannot be held responsible for any other expenses, including cancellation or change charges assessed by airlines, hotels, travel agencies, or other organizations. We also reserve the right to replace a speaker or topic, or adjust the agenda. We will make every effort to notify participants of any changes or cancellations.